The ancient Chinese didn’t celebrate Christmas. 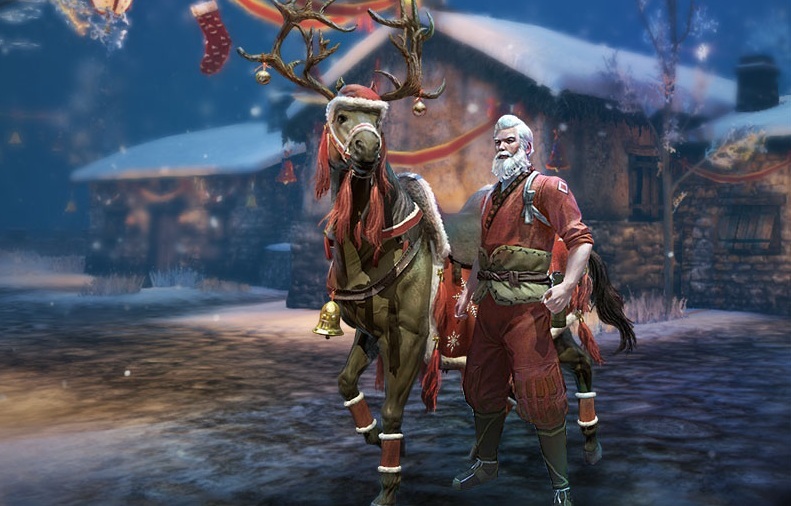 That isn’t stopping Oasis Games from putting a holiday-themed celebration in Tiger Knight: Empire War. From now until Dec. 27, players can participate in a number of events to score some sweet loot and deck out their warriors in some festive gear. By completing four themed events — Soldier Compassion, Protect the People, Display of Power, and Merry Christmas — you can earn a Santa outfit for your warrior and reindeer outfit for your mount. The combination is sure to strike mortal, jingling terror into the hearts of your enemies. There’s also a new DLC, which includes five Extend Barrack cards, five Soldier Seals, and 50,000 copper. A revised new player pack combines the four existing DLC packs into a single bundle with a 40% discount. For more info on the festivities, head over to the Tiger Knight site.